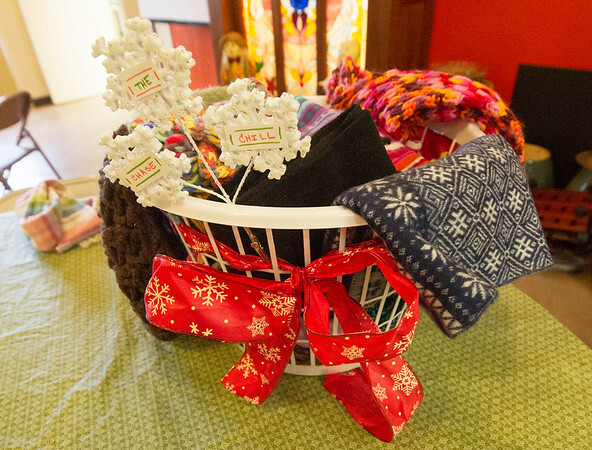 Scraves collected for the Unity of Joplin "Chase the Chill" program sit in a basket at the church on Monday. Scarves, gloves and hats will be placed throughout the city for those in need to use beginning on Dec. 8. The church hopes to collect about 500 items.